True desire is not just about expression and self – fulfilment, but also about offering closeness. MOODS promises memorable moments that are exciting, satisfying and all about showing that you respect and care for your partner. The MOODS man understands his woman, he respects her wants and desires; hence he is the perfect partner and the envy of all men. He knows how to #PlayItRight and win over his woman. That’s the belief that drives MOODS condoms. Therefore, extra care goes into manufacturing every product, in the hope that every experience reflects this belief. Crafted at HLL Lifecare’s state-of-the-art manufacturing plant, MOODS condoms come in a wide and exciting range, designed to satisfy the unique needs and preferences of its users. This is no surprise when one learns that HLL Lifecare is also a pioneer in the field of contraceptives and healthcare products in India as well as one of the world’s largest condom manufacturers today. So large, the facility has the capacity to produce over 1.6 billion condoms annually, using the finest technology available and with a highly qualified and experienced team in charge of every step of the process. 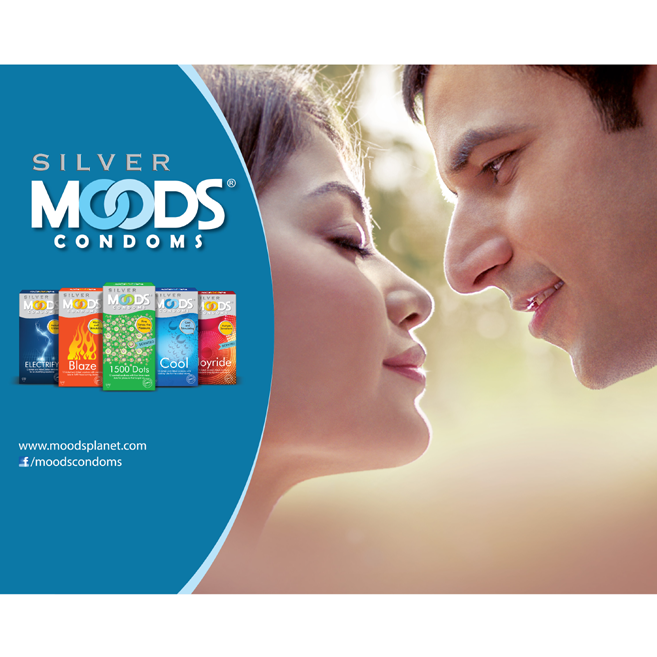 Today, MOODS condoms are avaialble in over 20 exciting variants all over the globe, including Canada, Asia, Middle East, Africa, Europe, South America and the Caribbean Islands. Which means that, one can #PlayItRight with MOODS condoms and enjoy an intimate moment anywhere in the world.